There are a few major events held in the Gold Coast. Some are held every year, others every two years or more and some one off events, such as the 2018 Commonwealth Games. Read on, to find out more about the different events, or use the Options Menu to skip to the months or topics that interest you. Over the years, I have noticed that events on the Gold Coast seem to come and go. Some move from one month to another, just to confuse everyone. Some are held regularly every week, every month, every year or every two years. Others are one-offs and others still are based on the Gold Coast from time to time. This is especially true of sporting fixtures and carnivals such as the Australian Surf Life Saving Championships, which may move between locations with the Gold Coast sometimes being the venue. On this page, I have focussed on the main ones that are generally on the Gold Coast and the ones that may affect your holiday plans. On the month by month pages, you will find some of the smaller events that may be of interest to you. You may plan your trip to coincide with an event you'd like to see or be a part of on the Gold Coast. Or, you may want to avoid the Gold Coast during a certain times. For example, you probably want to avoid staying in Surfers Paradise during Schoolies week or when the GC600 Motorsport carinval is on. 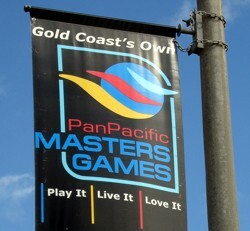 Some events only visit the Gold Coast every two years, such as the bi-annual Pan Pacific Masters games. It is in the Gold Coast on even years. The Gold Coast Marathon is an annual fixture on calendar, which disrupts traffic over a weekend around the coastal highway area. Gold Coast Turf club has race days during each month, some are quite large carnivals, others fairly standard. There are also weekly, monthly and bi-monthly Gold Coast Markets. Below, you will find some of the larger happenings in and around the Gold Coast and a month by month round up. What's On The Calendar In Gold Coast? 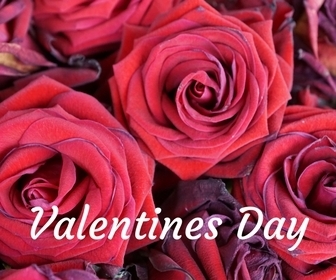 Valentines Day - 14 February for lovers to express themselves! St Patricks Day - 17 March Irish celebrations around the Gold Coast. As well as these, there are other smaller events that run weekly or monthly including Gold Coast Markets & Horse Racing at Gold Coast Turf Club. Attend or avoid, either way, it's best to know in advance! 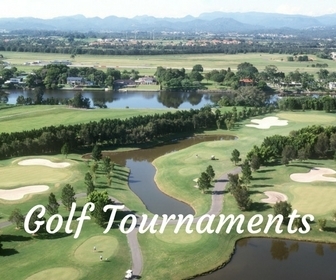 For specific Gold Coast events follow the links for more detailed information and dates. Disclaimer: Whilst every care is taken to provide correct information, the information about Gold Coast happenings, what's on, festivals, shows and other activities shown on this and other pages within this website is a guide only. Dates are subject to change without notice. Please check with individual organisers before planning your trip around these dates. January is the height of Summer school holidays. It is mostly a time for beach and theme park fun holidays. Events such as Magic Millions run and there's Australia Day celebrations later in the month. Sometimes Chinese New Year falls in January, but it can fall in February too. February is a quieter month on the Gold Coast with the start of the school year. There are however, some fairly major sporting fixtures. Carnival and horse sales. The first few days there are viewings of the horses for sale and then the sales of Yearlings starts - that is the main part of the sales. Towards the end there are the racehorse sales. Magic Millions Race Day is usually run on the last Saturday. During this time there is also the Gold Coast Turf Club Ladies Raceday - Metropolitan Raceday usually on the first Saturday, where the ladies get free entry! Magic Millions Open Day is usually the first Sunday from 10am to 5.30pm with an invitation to find out more about Magic Millions. This is a big event and highly promoted and you will often find one of the local radio stations there with a promo team. There are lots of other interesting stalls, marquees and of couse the Magic Millions yearlings! This is a free event and there is fee parking onsite. There are lots of other activities, but these are a few of the options. You can check out their website for more information. Locations all over Gold Coast and Australia! Australia Day celebrations around the country on this day. You will find many Australian flags, BBQs in parks, picnics on the beach and general Aussie good natured celebration of all it means to be Australian. There will be lots of locals out and about, it will be a busy day and some shops and restaurants may be closed. If Australia Day falls on a weekend, then the Australia Day Public Holiday is the next working day. More information about Australia Day. Chinese New Year falls in either January or February. Gold Coast Chinatown is the centre of any celebrations. Chinatown is a relatively new zone to the Gold Coast and is found in Southport just a short trip on the new G:Link Trams from Surfers Paradise. It is located on Young and Davenport Streets. Each Saturday there are now Chinese Markets in this area too. Usually there are also celebrations in Surfers Paradise including dragon dancing, cultural displays, traditional music and dance plus delicious chinese foods to eat. They are usually on the weekends closest to the actual date of Chinese New Year. Sometimes the theme parks put on special parades or events, but they are just part of normal admission. The biggest celebrations for Chinese New Year are in Brisbane as it has a larger, more established and vibrant Chinese district - Chinatown Mall in The Valley in Brisbane. The events are very structured in Brisbane, usually starting on the Friday and Saturday evenings (5pm to 10pm) stepping through the rituals of saying goodbye to the old year and then welcoming the new year in. Sunday celebrations are in the afternoon usually from noon through to 5pm. It's a great experience for all ages, and you get plenty of opportunity to be entertained or enjoy some Chinese food. All over Gold Coast and the world! Valentines Day is a day for lovers all over the world! Show your loved one how much you care. There will be lots of ideas for romantic dinners around such as Salt at Surfers Paradise Hilton or Oscars on the beach at Burleigh is a very romantic location. Why not woo your valentine with an adventure never to be forgotten, such as hot air ballooning, day trip to idyllic Tangalooma, diving or snorkelling adventures or even a day trip the Great Barrier Reef! The Quiksilver Pro surfing competition on the Gold Coast is the first leg of the Men's ASP World Tour. Locations for the competition depend upon weather and surf conditions during the event. The Roxy Pro surfing competition on the Gold Coast is the first leg of the Women's ASP World Tour. As with the men's comp, locations for the competition depend upon weather and surf conditions during the event. 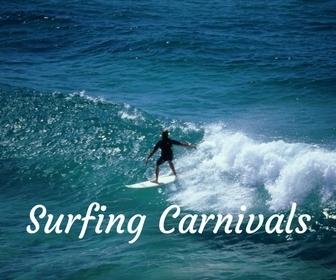 Most surfing spots used in the past in these competitions are in the southern Gold Coast. Snapper Rocks is a favourite. If you want to be near the action, it is best to stay in suburbs such as Burleigh Heads, Palm Beach, Currumbin, Tugun, Bilinga, Kirra or Coolangatta. This event has run on the Gold Coast for more than 25 years. Dates move around a bit and can fall in either February or March. It is a well established event. Expect a full program of golf. Great to watch, and always a good range of top players. Or even better score a spot in the Pro-Am Tournament on the first Wednesday. The resort hotel is RACV Royal Pines Resort (formerly Crown Plaza Royal Pines Resort, it is on Ross Street, Ashmore but is close to Carrara Stadium. Another alternative close by is Mercure Gold Coast Resort (formerly Radisson Palm Meadows). Plenty of alternate accommodation can be found in Broadbeach or Surfers Paradise both approximately 20 to 25 minute drive. Disclaimer: Whilst every care is taken to provide correct information, the information about Gold Coast happenings, what's on, festivals, shows and other activities shown on this and other pages within this website is a guide only. Dates are subject to change without notice. Please check with individual event organisers before planning your trip around these dates. March and April are popular times to visit the Gold Coast because there are the end of Term 1 school holidays and Easter Holidays. There are a range of sporting, entertainment and cultural events over these months. Easter falls usually within March or April. In Queensland, end of Term 1 school holidays usually include Easter. Check dates in either March or April. Easter holidays are very popular on the Gold Coast and booking accommodation ahead of time is worthwhile to ensure you get the pick of accommodation and location. I like to use Booking.com because, along with great pricing, there is often the option to book without pre-paying and reserve a room that can be cancelled if plans change. See listing in February for details. Bleach Festival on the Gold Coast is a surfing, arts and music festival with many different activities and shows held over the festival period. Festivities run right along the coast from Paradise Point, Burleigh and Palm Beach. Most of the main festival will be found in Currumbin, Tugun, Kirra and Coolangatta. The main hub is at Queen Elizabeth Park, Coolangatta. During the festival the Eco Challenge Gold Coast is usually held on one of the Sundays and it co-incides with the Quiksilver & Roxy Pro surfing carnivals. St Patrick's Day (17 March each year) is celebrated by Irish and non-Irish all over the Gold Coast. You will find revellers drinking Guinness! A Monday St Pats day won't be stopping the die hards, but remember there will be no time to sleep it off before heading back to work! I am sure you will find lots of fun at places like Waxy's Irish Pub which is part of the Circle on Cavill Complex in Surfers Paradise, McGintys in Oasis at Broadbeach or Harrigans Irish Pub in Jacobs Well to name a couple. There are many other non-Irish bars and venues hosting St Pat's Day celebrations and plenty of the blarney going around for sure! Another great spot for some rather more up market St Patrick's Day celebrations is at Canungra Valley Vineyards. They are part of the O'Reilly's Rainforest Retreat and Spa group. Previously they hosted a two course Irish Lunch and vertical tasting of 3 vintages of their Shane Shiraz. I have to admit I have no idea what a vertical tasting is... maybe it is the tasting you do before you have too much which then becomes a horizontal tasting! Let me know if you spot any Leprachauns! Lots of green will be seen! The Cooly Classic Coolangatta Ocean Swim is renowned for ocean swimmers as you get to swim across 3 famous surf breaks - Snapper Rocks, Coolangatta and Kirra. This is a great event for spectators too as you can watch the swimmers from along the beaches. There are now three races. Cooly Clasic 2.0 for the ironmen amongst you is a 2km swim that starts at Snapper Rocks and is usually the first race - times change slightly each year. The Cooly 1000 is a shorter course with a 1km swim which starts at Coolangatta Beach about an hour or so later. The 300m Kid's Surf Dash for the little nippers starts at Kirra Beach and is the last race usally around midday (but please check for exact times) for swimmers aged 10 and over and parents are encouraged to swim along with them. All presentations are at the Kirra Surf Club around noon. More information about the races, entries and times at their website. The "festival" is made up of different events and provides visitors with an opportunity to enjoy the best things about our city. A variety of activites run at various times and usually cover the Easter school holidays with a program intended to create a vibrant atmosphere within Surfers Paradise. SIPFest (Shorts In Paradise Festival) short film festival is part of the Gold Coast Film Festival and runs on a Sunday on Surfers Paradise beach. Getting closer all the time! Things are starting to shape up. Gold Coast will be hosting the 2018 Commonwealth Games. Claim these dates and make sure you are here to compete, watch and enjoy this amazing once in a lifetime event for the Gold Coast. Preparations are taking shape and you can already swim in the new Gold Coast Aquatic Centre, which was built for the games. More details over on facebook page where I'll be posting information as it comes to hand. Three categories of events including Queensland Tri Series, Enticer Tri Series and Superkidz Tri Series. World class triathletes compete in the ITU World Triathlon Series Round 3 on the Saturday. Expect there to be some disruption in the area across the weekend. There are road closures in the areas of Southport, Labrador and Biggera Waters along the Gold Coast highway from Ada Bell Way in Southport through to Burrows Street at Biggera Waters. Events start and end at Southport Broadwater Parklands, there is some accommodation in Southport which would be the closest option. You can also find accommodation in Main Beach or Surfers Paradise to the south of the event. Did you know that the Gold Coast accounts for 75% of film production in Queensland? The Gold Coast film festival aims to raise the profile of film making in the area, as well as bring a diverse range of feature and short films to the region. An expanding range of venues for these films - it's worth having a look at the website for more details if you like your film festivals. Film makers can submit their films for consideration. Check the website for more details and film program www.gcfilmfestival.com. Across the Gold Coast there will be ANZAC Day services including the famous dawn service at Burleigh Heads. ANZAC day is also the only day of the year you are allowed to play Two-Up - but you can try ANZAC biscuits any day of the year! Disclaimer: Whilst every care is taken to provide correct information, the information about Gold Coast happenings, what's ons, festivals, shows and other activities shown on this and other pages within this website is a guide only. Dates are subject to change without notice. Please check with individual event organisers before planning your trip around these dates. May and June have a variety of events and are usually quiet outside of school holidays and the big one - Sanctuary Cove International Boat Show. The Prime Ministers Cup is a great excuse to dress up and go to the races! Bundall is located just behind Surfers Paradise a little south of Chevron Island bridge, which makes Surfers Paradise probably the closest place to stay. Alternatives include Broadbeach accommodation options and resorts such as RACV Royal Pines Resort or Radisson Palm Meadows. Mothers Day in Australia is a different date to other countries. If you are visiting, be aware that restaurants are particularly busy for breakfast, lunch and dinner on this Sunday! Bookings are essential! A big family day with many extended family outings to celebrate wonderful mums in Australia! Why not head to Canungra Valley Winery on Saturday or Sunday and treat Mum to a fantastic picnic by the creek or a lunch on the verandah in their restaurant. Sanctuary Cove International Boat Show has been an icon on the Gold Coast calendar for over 25 years. Each year it just gets better and better. If you get in and book early you might get a spot in Sanctuary Cove! Hope Island is the next closest, after that you are best to stay around Southport, Labrador or Surfers Paradise for relatively easy access. There is a park and ride service that runs from Parklands Showgrounds in Southport, which is why I suggest these areas as alternatives. Blues on Broadbeach has been running for over 15 years on the Gold Coast. The line up of acts is always impressive. It has aligned dates with Sanctuary Cove International Boat Show, so is a great evening alternative for those visiting the boat show. This annual festival is very popular with locals and visitors alike. The best place to stay is undoubtedly Broadbeach! You will be able to find more details about the program as it comes to hand. If you like blues this is the place to be the last weekend in May on the Gold Coast! Cooly Rocks On replaced Wintersun Festival, with Wintersun moving to Northern NSW. 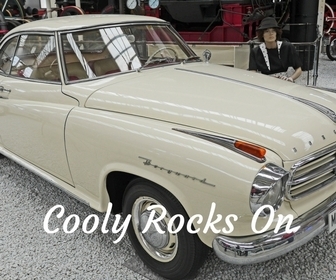 It is a 50s and 60s nostalgia festival featuring Rock n Roll and Vintage Car classics. A HUGE amount of fun! There are various events on over the first 8 days that build up to the Grand Finale weekend where you will see live entertainment and stalls and a packed program from sun up to sun down. Dubbed as "where the Country meets the Coast", last year was the first time on the Gold Coast for this festival. This free event celebrates a range of country music from Australian and International country artists. The line ups usually have a range of country stars and up and commers. This festival is free so everyone can enjoy three days and nights of entretainment around Broadbeach on outdoor stages and other venues. To get the most out of this festival, staying in Broadbeach would be awesome! July has school holidays during the first half of the month. Whilst, August is a quieter month. 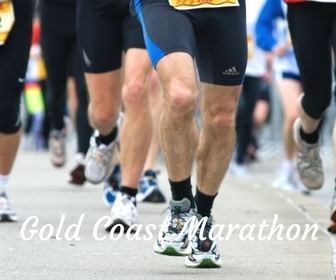 Also known as the Gold Coast Airport Marathon, the full marathon goes down to the airport and back to Southport. Events include full Marathon, half Marathon, 10km Run, 7.5km Walk and Junior Dash. Options for just about all ages and talents. Plenty to see and be involved in along the way. Local radio station broadcasts music to help keep everyone going! If you are staying along the route, you might end up with a fairly early wake up call! Roads are generally closed off from around 4.30am. Reopenings are varied along the route. Gold Coast Marathon course maps. Marathon extends from Coolangatta in the South to Northern Labrador in the North and the roads affected are those along the Gold Coast Highway and surrounding streets. Best to stay near the start and finish! Southport, Labrador, Main Beach and Surfers Paradise are the best options. Elvis Tribute Festival that recalls the great days of rock n roll. Expect to see jumpsuits, black leather, flared pants and blue suede shoes. There are tribute artists, beach cinema and lots of Elvis look alikes and wannabees. You've got to love the man who brought swaying hips to the world. It usually runs over 2 weekends and includes an Elvis Tribute Artist contest where contenders battle it out for a spot in the Memphis Ultimate Elvis Tribute Artist contents in USA! In addition to spotting Elvis, there are often shows and other tribute artists. Stay close to the action in Surfers Paradise or if you prefer to keep away, choose Broadbeach - though I cannot guarantee you won't hear a little or see some stray Elvis's! I went to the EKKA (Royal Queensland Show) for the first time in 2010 and I have to say, I was actually quite a convert afterwards. The best way to get to the EKKA is by train, which you can take from Gold Coast stations to Roma Street Station and then you have to change to a train that goes to the Showgrounds. They run special trains to service the EKKA and the service is very good. It takes about an hour or just over depending upon your connections and which Gold Coast station you leave from. Make sure you go early, plan what you want to see, wear sensible shoes as you will do lots of walking and be prepared to go on rides, see shows and exhibitions and of course finish off with a stroll around the Show Bag Pavillion! I went on the first day and there were quite a few school children and early on they were still judging the fresh produce so we had to wait to see that bit. Most days during the week you will find school parties going around and it is crazy busy on the weekends. This music festival in Broadbeach features live Jazz performances on outdoor stages and in venues around Broadbeach. If you love jazz, sounds like lots of fun! Gold Coast Show is a bit of an institution in the Gold Coast. There are animals, shows, exhibits, stalls, rides and of course show bags. There is an entry fee to get in, but take lots of money with you because everything costs money inside! This event previously was held at Parklands Showgrounds. The Friday of Gold Coast Show is the Gold Coast Show Day- a local public holiday in the Gold Coast region. September is quiet at the beginning of the month with school holidays during the last half of the month. October is a busy month with school holidays, a public holiday and the major Gold Coast 600 event. The Swell Sculpture Festival gets bigger and bigger each year. It is great to take the family for a stroll along the foreshore and take in the art along the beachfront. There are also indoor gallery of some of the more delicate pieces of work. It's a free event that is open 24 hours a day! In fact, going during the different lights will give you a totally different perspective. The creativity of the artists never ceases to amaze me. This is well worth a visit - day, night or both so you get to see the different lights on the pieces of artwork. Currumbin is near Burleigh Heads and a short drive north of Coolangatta or south from Surfers Paradise and Broadbeach. 3 weeks in September starting on a Saturday early in the month. Until 2012 Riverfire marked the beginning of the Brisbane Festival festivities - however they are now using it to cap off the River Festival! Enjoy the festivities of the festival through September, especially around the South Bank area. Riverfire, is a fabulous event of fireworks, music and entertainment. Worth the trip to Brisbane to watch. Catch a train from the Gold Coast right to the heart of South Bank and enjoy a balmy night of celebrations. This public holiday falls within school holidays for Queensland, allowing parents to enjoy a bit more holiday with their kids! Accommodation will be busy from school holidays, but with this extra holiday I would definitely look to make my reservations nice and early to lock in a good spot. The Gold Coast Indy 300 was replaced in 2009 by SuperGP which was then replaced by the current Gold Coast 600 with V8 Supercars. Lots of exciting new developments over the last few years as they move to improve the format and entice International drivers to sample racing in Australia. This year, they are packaging a whole lot of other events under the banner and calling it V8 SuperFest. There's a range of activities around Surfers Paradise and the Gold Coast under this banner, from art exhibitions, expos, motorsport memorabilia, opera and concerts. Most of the actual motorsport related start around the week before including the Race of Stars go karting at Pimpama and the V8 Superfest Gold Coast Parade. More details for the events, accommodation, maps and dates can be found on my pages about GC 600 event. The Coolangatta Gold is an iconic endurance race for those ironmen amongst us! A 46 kilometre test of endurance including ocean swim, surf-ski, board paddle and run. I didn't realise it is the longest race of its kind in the world - I thought the Hawaiian Ironman was but I stand corrected as that is triathlon (swim, bike and run). You will see a range of competitors from U19s right through to masters. Worth checking out and it is a great spot on a Sunday by the beach, pop into the Kurrawa Surf Club if you can get it, it will be busy or pop across the road to Broadbeach Mall and lots of restaurants and cafes there. More event information on the SLSA website. Pumpkins, witches outfits and trick or treating. Yes, we still do this on the Gold Coast! Some of the theme parks run special nights, so keep an eye out for those events. This independent film festival has grown from showing 100 films in 2006 to over 220. Films are usually screened at 5 venues in the Byron Bay area including Byron Bay Community Centre as the main venue and the The Regent Murwillumbah, Pighouse Flicks in Byron Bay as a satellite venues as well as The Star Court Theatre in Lismore and Free Full Moon Cinema in Byron Bay near the Byron Bay Surf Life Saving Club. You will need to check the program details for locations, times and more information about each film. Some of the films will be Australian Premieres and a few will be premiering for the first time anywhere in the World. Byron Bay is about an hour and half drive from Coolangatta in southern Gold Coast so you can easily drive down for the festival. Byron can be expensive and books out quickly. So use the map view to check out other options in the Byron Hinterland area. Not too far away is Bangalow, Corrabel Creek, Brunswick Heads and Lennox Heads. Festival website has all the details of screenings and films. Early in November is a great time to visit, before it gets busy with schoolies! December is also quiet as we wind up for Christmas, New Year and the big Summer holidays. 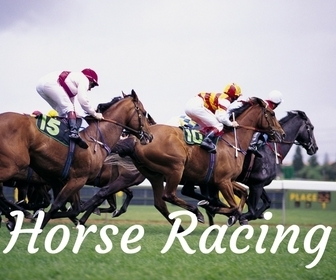 Melbourne Cup is the horse race that stops the nation on the first Tuesday of November every year. There are quite a few different venues including hotels and restaurants that host Melbourne Cup events. For example the Gold Coast Turf Club hosts a Melbourne Cup Raceday at the Bundall racetrack, whilst many of the major hotels host large luncheons and there is usually one at the Convention centre. More information on their website: Masters Games. Will Masters Games Affect Family Holiday? These bird weeks are popular and sound like lots of fun for ornithologists! They always seem to be finding some rare species whilst enjoying the relaxing environment at O'Reilly's. Bird Weeks at O'Reilly's started back in the late 1970's - so these are a huge tradition. Each year they seem to have sightings of over 200 species at O'Reilly's. You are bound to see some amazing birds during the week. Bird Week is an internationally acclaimed festival of birds with talks from key ornithologists and guest lecturers from around Australia. Guided walks, 4WD excursions, lectures, spotlighting, bird counts and audio visual presentations. If birds or rainforests are your thing, check out a stay at O'Reilly's Rainforest Retreat. The official week for schoolies formal entertainment and activities in the Gold Coast. If you have come here seeking general information on schoolies I direct you to the Queensland Government website information about Schoolies. This season ending championship on the PGA Tour of Australiasia is a great way to finish off the year, with the intent of giving the players and families an opportunity to celebrate the end of the season in style and fun surroundings! If you are heading up to watch or play, then here's what you need to know about visiting. Places to Stay: The resort hotel is RACV Royal Pines Resort (formerly Crown Plaza Royal Pines Resort, it is on Ross Street, Ashmore but is close to Carrara Stadium. You cannot miss Christmas in the Gold Coast. The shopping centres are decorated and the streets too. Some suburbs have competitions for the best Christmas lights. The European influences are strong, and although the weather is warm, the images of snow and santa in boots and red suit are everywhere! Various Christmas carols and events will be posted on the Gold Coast Christmas page and I try to keep the Christmas Lights information up to date as it comes to hand during December. Another area that is useful for locals and visitors is the rundown of places to get Christmas lunch or Christmas dinner around the Gold Coast. In Australia Christmas celebrations start earlier and earlier, but Christmas Eve is 24 December and most people finish work early that day. Shops stay open late in the run up to Christmas but are closed Christmas Day 25 December. The day after Christmas is Boxing Day (usually the 26 December) and this is when the Boxing Day sales start. If any of these days fall on a weekend day there is usually a public holiday in lieu on the next working day. There are plenty of parties and celebrations, including family friendly fireworks at several Gold Coast locations. More information about New Years Eve celebration ideas. Gold Coast Turf Club holds horse racing race days most Saturdays throughout the year. The dates above are for Gold Coast Turf Club racedays January. These are the dates I know about, check the GC Turf Club website for more details. This can be a great day out, gates usually open around 10am and the gate entry fee for standard racedays is about $12.